Welcome to my WP Affiliate Machine Review! Writing reviews is not an easy task to do. I have written 80+ review posts on this site. In order to write one review post I invest 6-12 hours and it takes a lot of effort and work. What if, you can create reviews in just one click? What if, you don’t need to write content for your site but still you can post one article per day? How much time you can save if content writing is automated and all it takes is just one click? What about a plugin FULLY LOADED with Content, Product Reviews, Graphics & Videos for Products from JVZOO, WarriorPlus & ClickBank? Also, I like to inform you that I am in no way associated to this product and I am not an Affiliate of this product. Before we dive in to this review, I would like to introduce you to my FREE GUIDE “A Beginners Guide To Making Money Online – Be Your Own Boss!“. Anyone can build an online business from home by using my FREE make money online Guide, because it shows you how to turn your interest into income. Why I am Not Recommending WP Affiliate Machine & The Shocking Results of My Research On WP Affiliate Machine. 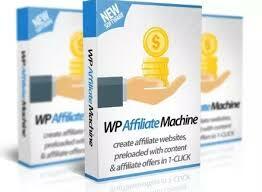 Who’s WP Affiliate Machine For? Is WP Affiliate Machine A Scam? Product Type: WordPress Plugin that automates review writing & publishing content to promote make money online products (Affiliate Marketing). Best for: People who are interested to have make money online product reviews in their site without writing it. Summary: WordPress Plugin Pre-Loaded with 30 Affiliate Product Review Articles All DONE FOR YOU with Content, Product Reviews, Graphics & Videos for Products from JVZOO, WarriorPlus & ClickBank. To be honest, I have invested a lot of my time in doing research on this product (As I always do on my reviews) and I found something very interesting. Stay with me I will let you know in details. I was really excited when I read the sales page because it means a lot to me (I write reviews on make money online products) and before I purchase any make money online products I do some research. My research gave me shocking results. In their sales page Ankur Shukla claims that with the help of his plugin anyone can build an affiliate site in 60 seconds and start publishing articles to your site without ever having to write them. Also he claims that this brand new wordpress plugin builds you a complete affiliate review site in just 1-CLICK. Not just that, it also LOADS the new site with affiliate review articles from some of the top products from JVZOO, Clickbank and WarriorPlus. Indeed you can create a website in 60 seconds (Previously building a website is a rocket science, now its not) and with the help of his plugin you can generate review posts in one click. You might think… That’s great Paul then why you are not recommending it? That’s just the beginning and not the end of the story. Ankur Shukla is a successful internet marketer and a product creator. He is a top seller of many make money online products and ranked on top Leaderboard Spots. As I mentioned Ankur Shukla is a product creator and launched few products they are PayDrill 2017 Edition, VoiceMailPro, WP Video Machine and WP Backlink Machine v2. Then you just need to click the “Force Import” and it will automatically imports offers from Jvzoo, WarriorPlus and Clickbank as a review post. Ankur Shukla talks about creating a website under 60 seconds but you can create a website UNDER 30 SECONDS itself. See the below video where you can build a website in less than 30 seconds. WP Affiliate Machine – Monthly Content (Recurring Product) – – $27.00 Every 30 Days. Oops! A lot of upsells! Low cost of the Front end product. Create review posts in one click. Reviews created with this plugin are not going to rank high (I will explain it in detail in the next section). Recommending all the products, not providing value to the visitors just focused on generating Affiliate commissions. Plagiarism – Content from other websites. Without proper knowledge on the product you will be creating your product reviews. When a visitors ask a question in the comment section you need to go and find your answer. In order to drive organic traffic our review posts needs to rank in the first page, at the maximum in the second or third page (Its really hard to drive a good amount of traffic if we are not ranking in the first page). In the sales page in the videos Ankur Shukla talks about his two sites, one is Internetreviewer.net and the second site is demo.wpaffiliatemachine. I was interested in this product to be honest and I just wanted to know how the review posts created by Ankur Shukla using this WP Affiliate Machine ranks on Google. To be honest not even one post I can see on the first page of Google, not even in the first 5 pages, not even in the first 8 pages. Many posts I am not able to find it even in the first 15 pages. In his Internetreviewer site I seen a section which says “Must Read Reviews…” and I thought at least these posts might rank well so did the same research to the below review posts which mentioned under this section. Not even one post ranking in the first page of Google, not even in the first 5 pages or even first eight pages. While doing my research for the above review posts I just noticed, one post ranking in the 9th page another one ranking in the 10th page. This was the result while I am doing my research the result may vary but I don’t think its going to create a big impact or change over, like many post going to rank in the first page of Google immediately. I thought of trying the same for the second site demo.wpaffiliatemachine. Same results, not able to find these posts in the first 10 pages of Google. Above posts are published in the Month of March 2019 so I thought of going to the older posts which published on January 2019. Same results not able to find these posts in the first 10 pages of Google. Normally people will search for “SEO Toolkit Review” even if someone enters the whole title that too in quotations also, like this “SEO Toolkit Review – Access 25 Powerful SEO Tool & Rank Your Site Higher” this post is not ranking. This came as a shock, the posts are not ranking well in Google then how come we can drive free organic traffic? I have given you the details and you can perform your own research and you can it by yourself. So in my opinion the content delivered is not complete and in order to make it rank well we need to do a lot of work. Instead we can write our own product review. People who are interested to have make money online product reviews in their site without writing it. This might be beneficial if you have a big email list and following, you can send your review link directly to your list and followers. With this content its really hard to rank on the Google first page and drive free organic traffic. To be honest I was interested in this plugin before starting my research because personally it will save a lot of my time. This review has already taken more than 7 hours but I am yet to finish it. I guess it will take another 90 minutes. So you can see how much time I invest in reviews. You can learn more about the A to Z of Affiliate Marketing and how to write genuine product reviews and rank it well on Google and build your long lasting online business. I can’t publish those reviews (Pre-Loaded with 30 Affiliate Product Review Articles) because its no help to the people looking for additional information and value. Those reviews are just trying to sell the Affiliate Products and to make money. My intention to write make money online product reviews is to save people time, trouble, effort and money. As I mentioned I have reviewed 80+ make money online programs on this site. Few years before I was in the same place as you are in now and read 100’s of make money online products sales pages & reviews thinking and wishing that the product will change my life. Tried many programs and products, lost $4000+, requested many for help and coaching, finally I found the best method to make money online. Please remember one thing, in order to make money online it will take TIME, EFFORT & WORK. Don’t believe in quick rich schemes, trust me there no such thing called quick, fast and easy money online. I have revealed in more detail about the method which helped me to became a full-time Affiliate Marketer and how YOU too can do it in my FREE Guide. Need help with anything I discussed here on WP Affiliate Machine Review – Is The Pre-Loaded 30 Reviews Fully SEO Ready And Will It Rank Fast? Plagiarism - Content from other websites. respected in this space for a long time I decided to check it out. That’s great to know that you decided to check it out and let us know your feedback and experience. Reviewe. Writing requires been Creative although I have always wanted to have a means to make it less stressful, but at the same time unique, from the beginning of the content I was abit happy until when I read to the part you did not recommend it, plagiarism is one part I usually I don’t encourage because it is stealing another person work and effort. Thanks for this wonderful review. I too hate plagiarism and its not going to help anyone who is doing it in any means. I have just finished reading the article you wrote on wp affiliate machine review,I want to tell you how much I appreciated your clearly written and educative post. Though am very familiar with various plugins as am a WordPress designer,most developer come up with different plugins and stating one million reason why we need to get it activated on our website. After much research work,you will notice all they said about it won’t be true. 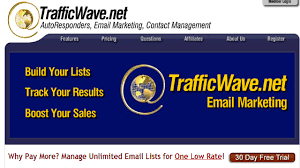 Thank you for taking your time to research on wp affiliate machine. Really great to hear from a WordPress designer! Indeed everyone claim their product, program, plugin etc., gonna change everything but at the end of the day not many fulfilling their promise. They under-deliver that’s the reason we need to do some research before buying any products online.